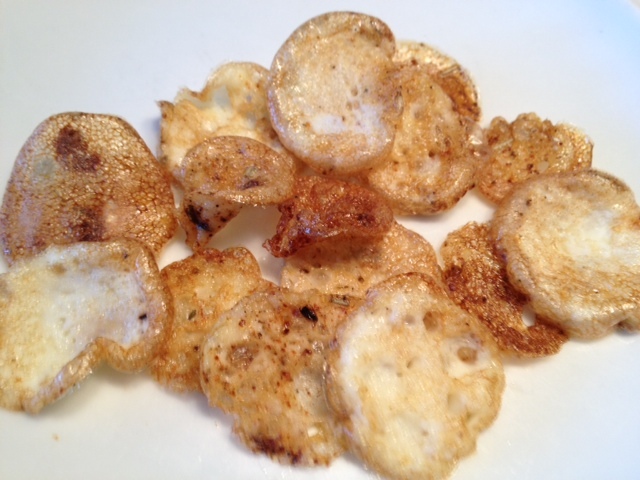 I saw these egg white chips on a blog (A Fine Balance) and had my doubts. Chips made out of eggwhites, really? Since I love salty, crispy foods I decided to give them a try. Surprisingly, they were really tasty! And they are more filling then regular chips. I'm not sure how well these keep, or how long you can keep them for. Just in case, I ate mine right away! They seem like they're best fresh from the oven anyway.